Coffee and technology have gone hand in hand ever since the invention of the coffee drink. The reason is simple: you can’t make coffee without technology. Technology, in this case, is essentially what turns coffee into the warm, comforting beverage that we all know and love. From harvesting the coffee beans to cleaning and roasting them to finally brewing—technology is involved in every step of the way. So naturally, as technology evolves so do different ways of making coffee. One breakthrough technological development in the past few years is the expansion of connectivity. As connectivity becomes part of our everyday appliances in both our homes and in our workplaces, it consequentially becomes part of our daily lives. Our devices become part of the same unified network, all connected through Internet, Bluetooth or 5G. Otherwise known as ‘the Internet of Things’, this connectivity allows for easier flow and more efficient ways of managing, storing and information. As we reach this point in technology, we find that everything we use is linked together. Our phones, for instance, become just smaller computers—remotes that you can use to turn on, turn off and control other devices or systems remotely. Data analysis and intake have also become a crucial part of the Internet of Things. If you own a business, data can be an essential part of your strategy and can help you maximize your profits. Having said that, it makes sense then that coffee technology has also become entangled in this network of connectivity. With some impressive improvements in roasting and brewing technology already, there are some exciting new features in the latest coffee machines. Now roasters can have enormous amounts of data on their roasts and sales. 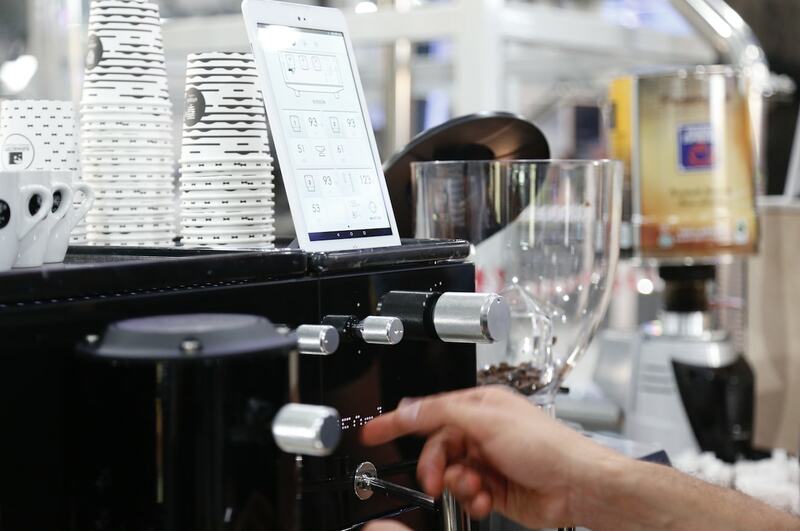 But this sort of technology doesn’t just benefit coffee professionals; coffee enthusiasts can also enjoy the coffee tech perks and features from their homes. As home brewing becomes more popular, there is an increasing number of quality espresso machines for your home that are connected to your phone or even other appliances. 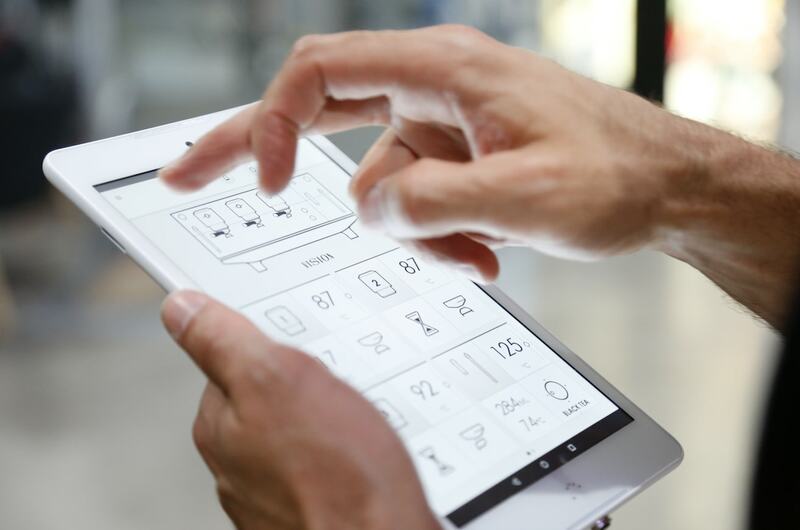 With it, you could control brewing and extract settings, coffee orders and purchases, as well as other properties. For professional espresso machines, however, there’s the new VISION by Iberital. It comes with a tablet where you can manage and set it up remotely or you could remotely access and control the machine by Bluetooth. They’ve also introduced the Iberital Connect, a pioneering system in which the machine is linked to the cloud (Internet of the Things) via WiFi or mobile network, making it possible to receive notifications on the equipment status, adjust settings remotely, geolocate it. All these technological advancements essentially aim to make the coffee-making experience more effortless, comfortable and therefore more democratic. As we know, the artisan process of making coffee today depends on many variables: coffee origin, quality of the roast, humidity, temperature, talent of the barista.etc. There is no question about it; the more these variables are controlled, managed and processed, the better coffee you will make. The role of connectivity here is to essentially have more dominance over your coffee machines, whether it is roasting, professional espresso or home brewing. Yes, coffee making can be an art but the science of it is undeniable. It is in this marriage between technology and artisanship where we coffee lovers thrive. 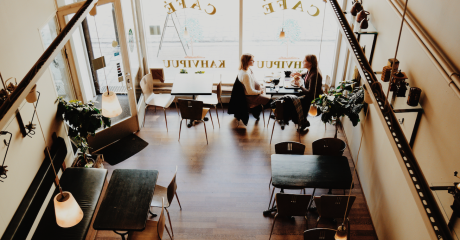 Your needs to provide your customers with best quality coffee doesn’t have to get in the way of keeping your business an environmentally friendly space. 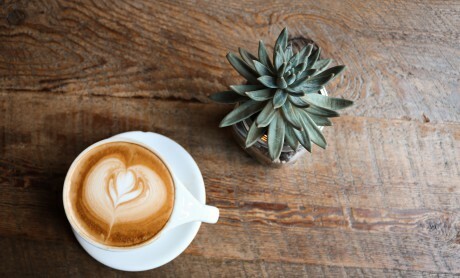 Get the top 5 tips to turn your coffee shop into a greener space!